Of the 5 million people in this country living with Alzheimer’s, about 200,000 have younger-onset/early-onset Alzheimer’s. It is not an “old person’s” disease. Some people are diagnosed in their 30s, 40s or 50s. One of them was my wife – my sweet Melinda. Melinda is the reason I Walk to End Alzheimer’s. Melinda was once a trial lawyer, a scratch baker, an excellent cook, needlepointer, crafter and seamstress. These talents, along with her incredible intellect, engaging smile, laughter and her love for her family made her a wonderful mother and wife. In 2010, Melinda was diagnosed with younger-onset Alzheimer’s at the age of 54. We were shocked and frightened. For whatever reason – which I cannot explain but am thankful for – Melinda did not seem to dwell on her diagnosis. She remained cheerful in the face of the disease. Melinda was in an adult day center four days per week between April and August of 2014 so that I could continue to work to support our family and retain our health insurance coverage. On September 2, 2014, I made the hardest decision of my life, determining that she needed to be placed in a long-term memory care facility. Younger-onset Alzheimer’s is life-shattering. Younger families have children who see the progression of the disease, and therefore experience the ongoing loss of a parent. Breadwinners in the prime of their careers struck with the disease become unable to work, and if they haven’t worked long enough, they won’t be entitled to disability benefits. Families in the prime of their lives are destroyed by a disease that never takes a day off. I Walk with the hope that other families will not have this fate. The impact on our sons Matt and Ben is impossible to measure. Despite the loss of the mother they once knew, they adapted, rallying to help both her and I deal with the day-to-day challenges we faced. Thankfully, this has not impacted their education. Matt graduated with the highest honors and found employment with a Big Four CPA firm. Ben is succeeding at the School of Engineering at Mizzou. I hope they are able to take away from this journey the love, patience and devotion I have tried to give to their mom and that their experiences will make them better people, as I know mine has made me a better husband, father and person. I Walk in memory of Melinda. My sweet Melinda passed away on January 14, 2015. I miss her terribly. I believe she is free from this insidious disease that shows no mercy, and that she is now at peace. Since Melinda’s diagnosis in 2010, I have immersed myself in Alzheimer’s science and research, attending symposia featuring eminent scientists and physicians whose mission is to find the cause and, ultimately, the cure for this dreaded disease. Melinda’s Memory Warriors Walk to raise money for research and a cure. There is an oncoming avalanche facing our society. Of the top 10 causes of death in this country, only Alzheimer’s cannot be prevented, cured or slowed. The thought of losing one’s memory and ultimately one’s dignity is frightening. By participating in the Walk to End Alzheimer’s, we are letting the world know that now is the time to increase the awareness of a disease that will cost our government trillions of dollars in the coming decades if a treatment or cure is not found. This is a real crisis for our nation and for the world as a whole. The avalanche is out there, and it will be here before we realize it. Join me today by lending your voice and your legs to the cause in the Walk to End Alzheimer’s – for me, my sweet Melinda, and all of those who live with this devastating disease. About the Author: Bruce Friedman Walks on team Melinda’s Memory Warriors. He was a featured speaker at the Alzheimer’s Association St. Louis Chapter’s 2015 annual “An Affair to Remember” gala fundraiser and was recently nominated for a position on the National Advisory Council on Alzheimer’s Research, Care and Services. Bruce was selected in 2014 as the Best Lawyers’ Lawyer of the Year in St. Louis in the area Family Law. Your words have once again brought tears to my eyes because of this dreadful disease.. My sweet husband Jim was diagnosed with FTD in Summer . He was the love of my life, if you knew him you would remember him as a loving husband, father, grandfather, friend and a consummate gentleman. He struggled through this with grace and dignity and past away All Souls Day, November 2, 2014. Thanks for you voice in this terrible disease. A very moving story. For someone so young, a profound event in a family. My mother will be 100 next year and her diagnosis was confirmed within the last year. She too required long-term care. I suppose with this all so destructive disease, it is the fact that it takes away the person you once knew in essence and requires a complete adaptation of approach in that relationship. Bruce's story conveys just how significant a problem this is. I wish him and all of those who will participate in the "Walk to End Alzheimer's" all the luck in the world. Mother’s family suffered with the disease . It would be wonderful to find a cure for this hideous disease. Thanks to all the families below that have posted comments on how hard this disease is on everyone in the family. Each of our journeys are different but we strive on as best we can. Ask friends to not be afraid to talk about it with you , it helps to share "out loud" the frustrations and trials that come with the walk. Thanks to all of those doing ALZ walks around the country to gains funds to cure this disease in the future and to let more people really know how it is changing the landscape of healthcare in this country. I am 54 and suffer from Early-Onset ALZ but am determined to get the message out as long as I am able , so the next generations will not have to suffer from this most difficult disease. My love to all of you ! Thank you for sharing your story. My sister was diagnosed at the age of 52, I cared for her before nplaving her in a long term facility. I walk for her, a former Microsoft VP, a mom of 3 beautiful daughters. Let’s end this terrible disease!! I can relate to this story exactly as it was told. My late husband was diagnosed at age 53 and passed away at age 69. He was a computer operations manager at hour place of employment. He stayed home by himself for the first 9 years with short term memory loss and post-its to help him remember what he needed to. He was 12 years older than me so I still had to go to work to keep our home and insurance etc. One day I came home and there was something in the microwave that really didn't belong there so I decided it was time for him to go to an adult day care facility while I worked. I was afraid he would burn the house down or hurt himself. He went there for about 4 years. When he started not sleeping and got combative at home and hurting me when I was just trying to help him with his meds and dressing I figured it was time to find a long term care facility. He was also combative at the day care. I found a room for him at the Maine Veterans Home and he was there for a year and a half before he passed away. He didn't know me or our adult children or grandchildren for a few years before that. It is so sad to watch your soul mate fade away like that. He became more like my child than my husband. Even though he has been gone for 7 years now, I still love and miss him dearly and wish that a cure for this horrible disease can be found soon!! My husband was also diagnosed at 54. He passed away 8/2/2014.it is not an old people disease any more. Thank you for sharing your story. I lost my mother to Alzheimer’s when she was 62 years old. I too walk in the hopes that we will find a cure and that future generations will not know this terrible disease. I look forward to the day the word “Alzheimer’s” is something we only read about in history books. I still have days, along with my family, where we struggle to understand why….why she got this. Only God truly knows. Your story is very similar to what occured in our family. My mother was diagnosed in her early 50's. She was cared for by my father until the devestating decision to place her in assisted care. She was struck with the awful disease in the prime of her life. She was a lover of Bridge and other card games, loved reading mysteries, and English Springer Spaniels. She delighted in the holidays when her family gathered for great food and celebration. This is such devastating disease for all family members. I went to school with Melinda. We were in Kindergarten through High School together. We went bike riding and spent the night at each other's home. This is really beautiful and yet tragic. I was so impressed by the way Bruce has presented the story and towards the end it actually brought tears in my eyes. When I go back in time and remember the period when my mother was diagnosed with Dementia. Those were tough times. By Lord's grace the situation is pretty much under control now. I hope the Lord gives you the strength to bear the pain. You are doing a very noble job in the memory of your wife. I hope you succeed in it. My deepest Regards with you Bruce. I am very sorry for your loss Bruce. I know the pain of losing someone to Alzheimers as well as the loss of a spouse. I lost my spouse and father to cancer and my mother to Alzheimers. Both diseases are devastating to both the person suffering and the caregiver. As a daughter of a mother who is faced with this terrible disease, your message brought tears. My mother was diagnosed 4 years ago this month, just before I had my first child. She has been able to walk with us the last two years at the Minneapolis Alzheimer's Walk. I fear the day that we are walking without her. This is one of the most heartbreaking things to watch….. we know that we all have our time, but watching someone as they leave us little by little each day is difficult. The one thing we do have going is that we are able to say "I love you" each and every day, something that not everyone is able to do. I fear the day that mom is no longer with us, and want to do all that I can to help and find support to some day find a cure! I pray that one is found and that my children never have to go through this. You are strong, and your sweet Melinda is forever gracious for all of the hard work, the love, and the determination to give her a good life while she was here. Best wishes sir as I did the walk here in Hartford last month, on behalf of my aunt who passed away January 29, 2012 as well as for my high school friends father who battles with the illness. So sorry to hear of your wife's death from alizheimers. My husband died in dec. 2014 he lived about 10 years I also put him in a memory care unit. 1st adult day care which worked for awhile then assisted living then aliz unit. Fortunately I was able to keep him at home till last 2 years. I feel guilty about everything. I never felt I was doing the right thing it's very different when it is your spouse. He died after 2 mo. In the new care center. I felt at the time it was such a blessing he died and didn't have to suffer anymore.he was going to have to be moved to skilled nursing and he died in 2 days. His parents had alizheimers his mother living to 99 in a nursing home. He was at least spared that. I'm going to volunteer with hospice they were so good to my husband. It is truly as they say the long goodbye. My daughters and I will be walking to end Alizheimers. Thank you for sharing the story of your “sweet Melinda!” I am so sorry for your loss. My mother had Alzheimer’s. She was diagnosed in the Spring of 1996, she passed away just before Mother’s Day in 1999 at the age of 81. One of the hardest things to watch as the disease progressed was seeing the light go out of her eyes. I’m sure those who have been there understand what I’m saying. We were always so close. It was so hard watching her slip away from us. My heart goes out to families that are living with this devastating disease. God bless all of you! I pray that a cure is found! 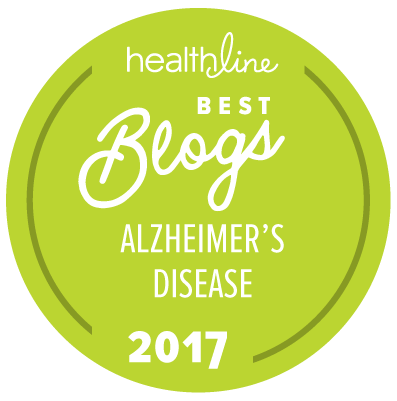 I am so thankful that Alzheimer’s is now getting the attention it should have gotten long ago. I am so sorry for the loss of your wife, I know what you are going through now. I loss my husband of 49 years to alzheimers on January 6, 2015 eight days before your wife, Melinda passed away. It has been hard but knowing that he would not have wanted to live this way and that he is now at rest, I will learn to move on as he would have wanted me to do. I finally had to put him into a memory care unit and that was the hardest day in my life especially when he asked me"what did I do that I cannot go home"? Those words still tear me apart and I wonder if I did everything possible to keep him home. I know others tell me I did but his words haunt me and will to the day I die. My husband still knew me until the day he passed but he did not recognize anyone else or thought that they were someone else. I love him and miss him everyday of my life and often wonder why him, he was a good person to his family and to everyone and he had just retired when we started seeing the alzheimers progression start. My thoughts and prayers are with you and hopefully one day we will be reunited again. My Mom is in her 70's she has altzhiemers matter of fact in the last stage I'm scared to loose her, she will never see my daughter grow up, Graduate , date, learn to drive etc. my Mom was the one that was there for everyone that needed her to help them, my Mom was there for them wh en she was diagnosed with altzheimer's every one walked away didn't want anything to do with her, Shame on them ,she was there for them, to good to help, we're loosing her , we we're told we'll be luck if she's with us next year, she's delaying in swallowing, and she can't do anything for her self anymore, awful, awful, painful. I don't know what I'm going to do without my Mom, we've done things together,her laugh, her smile, her hugs I don't get anymore, Mom's leaving us and I don't know how to handle this, I'm hurt,sad ,I cry. my parents have been together 56 years married, Mom I love you please don't leave us.